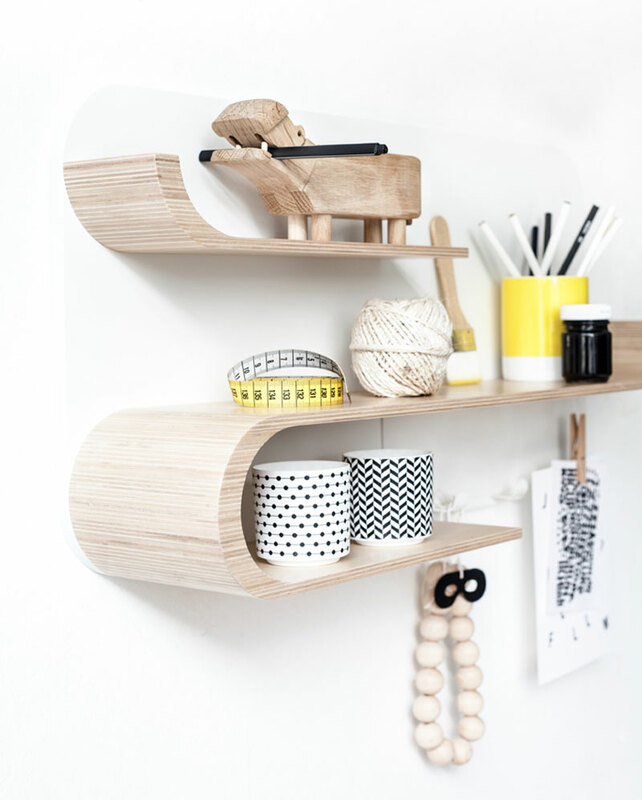 Curve out some space for children's treasures with the M Shelf from Rafa Kids. Curve out some space for children’s treasures with the M Shelf from Rafa Kids. When is a shelf not just a shelf? When is has been architecturally designed to have serious curve appeal. RaFa kids is the boutique design studio of husband and wife team, Agata and Arek. Based in the Netherlands, Agata takes care of aesthetics while Arek tends to the technical aspects and together, they combine forces to create high quality and good looking products that are kid proof. The M Shelf is unique and functional and is the perfect destination for treasured keepsakes or the toy of the moment. 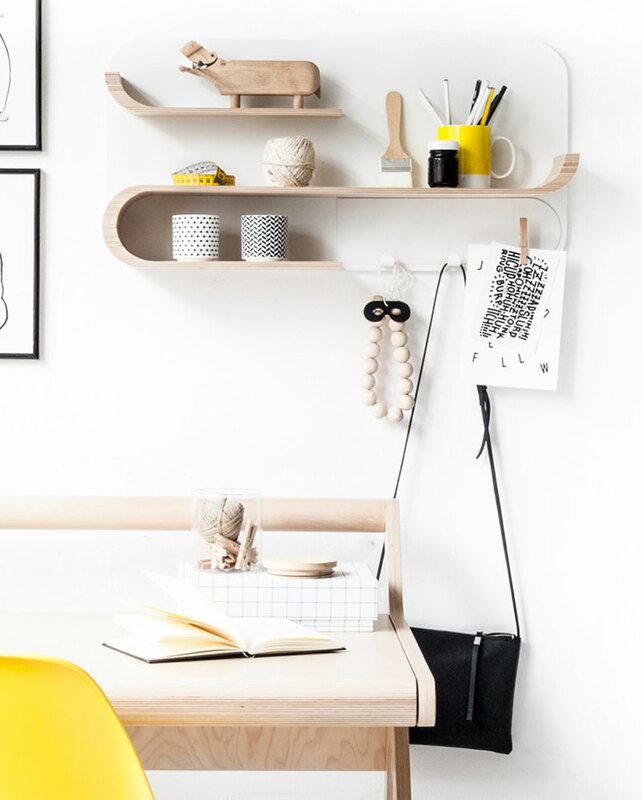 Made from Finnish birch plywood and powder coated metal, there are two general styles available: natural (white backboard and natural birch wood shelves) or white (white backboard and white wood shelves). You can change out the feature metal plate with three hangers to be either white, black or yellow for the main point of difference. It measures 70x35cm and is 15cm deep. Buy the M Shelf exclusively through the RaFa kids online shop for €178. Be inspired by other RaFa kids designs by checking out the rest of their innovative furniture range for kids including beds and desks as well as their adorable textiles and soft toys.